These charts are Predictions Only! Only Mother Nature Knows for sure, & quite often Diving is much better than you Think! 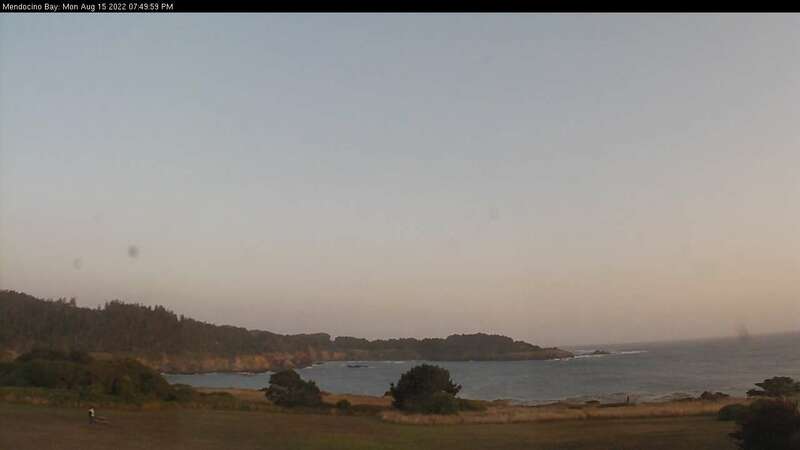 Pacific Scuba Divers, a California Bay Area Scuba Dive Center located near Sunnyvale, Santa Clara, Palo Alto, Mountain View, Cupertino, Saratoga, San Jose in the San Francisco Bay Area. Dive Club - Pacific Scuba Divers for all Bay Area Divers. Proper dive planning includes previewing the weather forecast topside, judging the ocean tidal change, and predicting the swell direction and strength. 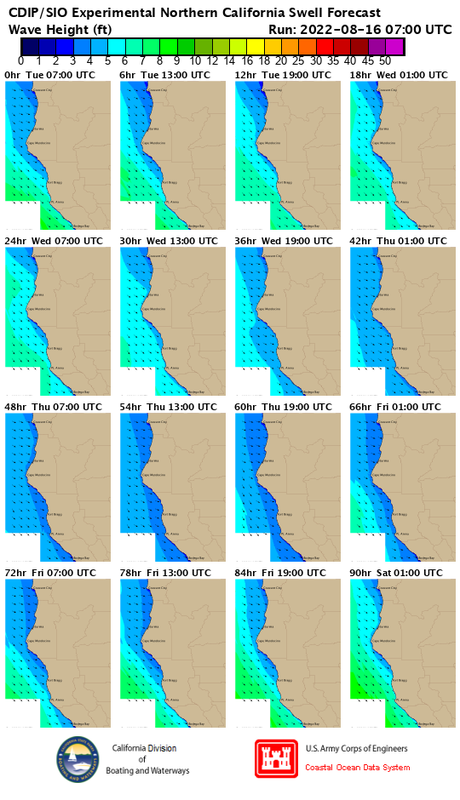 NOAA wave predictors are often over-conservative and do not reflect the actual wave forecast in protected Bays such as Monterey. Southerly swells can mean complete protection for most of Monterey & Carmel, including Point Lobos. North Coast dive sites above San Francisco are not protected and subject to rough conditions when the swell & tide combine to create adversely hazardous seas. Greater care in planning is required. 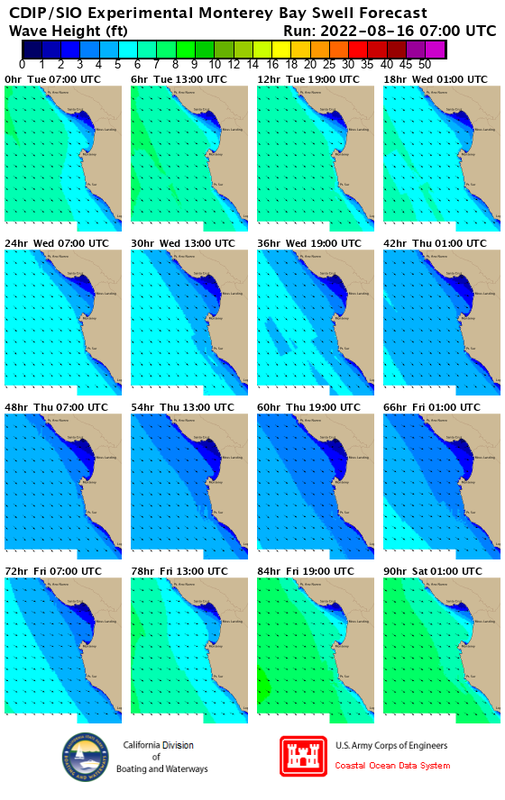 Southern California swell predictors dictate if the channel is safe for small boats, in order to reach the Channel Islands.